Sen. Mark Kirk, R-Illinois just became the first Republican incumbent in the Senate to run an ad attacking presumed GOP nominee Donald Trump. The 30-second ad, titled "Even More," follows his decision earlier this month to rescind his endorsement of Republican presumptive nominee Donald Trump. "...Mark Kirk bucked his party to say Donald Trump is not fit to be commander-in-chief," the ad proclaims. Kirk's ad bucks his party in other ways, too, depicting a strong affinity for Democrats and their positions. It points out his lonely support of the president's choice to replace the late Justice Antonin Scalia on the Supreme Court and his liberal position on abortion rights. "Mark was the first Republican to support a vote on President Obama's Supreme Court nominee," the ad says. "He's a leader on protecting a woman's right to choose." The ad also shows Kirk after his recovery from a debilitating stroke -- being helped up the Senate steps by Democrats: Vice President Joe Biden and Sen. Joe Manchin, D-West Virginia. Kirk, who was elected in the 2010 Republican wave, is widely thought to be the most vulnerable of the 2016 Republican incumbents in the Senate. And his Democratic opponent Tammy Duckworth is putting up strong fight for his Senate seat. Kirk didn't revoke his endorsement of Trump until after Duckworth's campaign accused him of being "complicit" in the billionaire's campaign of "hate and division." Duckworth's campaign accused Kirk of portraying himself as "a liberal Democrat" in a liberal part of the state. 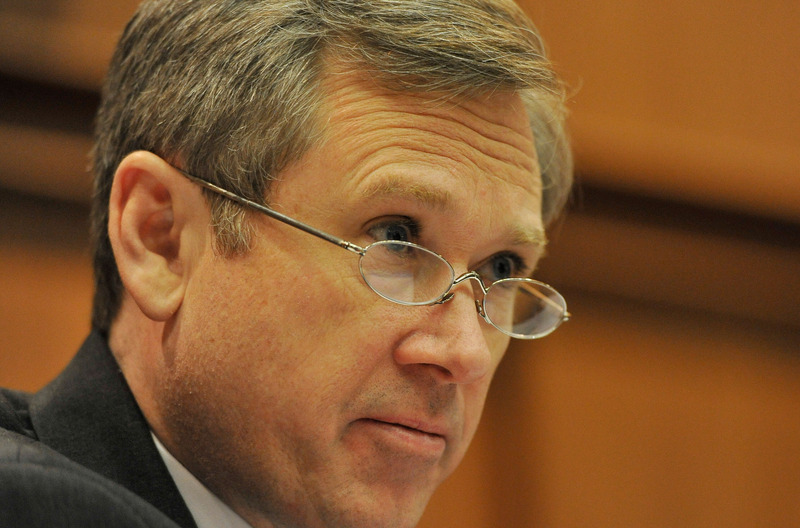 "Republican Senator Mark Kirk has lied for years about his military record, falsely claiming to have served in combat and claiming an award he never earned," the campaign said in a statement, continuing, "and now he's not being straight with Illinois voters by portraying himself as a liberal Democrat in Chicago while apparently hoping no one else across the state notices." According to the Chicago Tribune, the Kirk campaign bought $230,000 in broadcast TV time in Chicago and $35,000 in cable time to run the ad.